It’s always a pleasure to encounter a new jazz book that’s not a rehash of overexposed source materials or burdened by academic ideologies, and John McCusker’s fresh look at the life and music of trombonist / composer / bandleader Edward “Kid” Ory (1886-1973) is just such an engaging book. In CREOLE TROMBONE, McCusker carefully documents Ory’s roots, his development as an artist, and the scenes in which he lived and workd — not only rural Louisiana and New Orleans, but California in the early years of the twentieth century and Chicago in the Twenties. We learn a great deal about a variety of subjects — life on a sugar cane plantation, New Orleans band battles and etiquette, early recordings and the music business. And there are portraits, some of them from an unusual angle or an unexpected perspective, of Joe Oliver, young Louis Armstrong, Mutt Carey, Jelly Roll Morton, Freddie Keppard, Buddy Bolden, and others. McCusker is praised for his “meticulous research” in three of the back-cover blurbs, and the book does not disappoint here. Not only does he make use of published work by scholars including David Sager, Henry Kmen, Al Rose, and interviews with the surviving musicians held in the Hogan Jazz Archive, Tulane University, but he has spoken to Ory’s relatives and drawn liberally on Ory’s unpublished autobiography (made available to him through the generosity of Ory’s daughter Babette). As usual, there are brief “historical” passages in which the author works to set the scene for those unfamiliar with it, and the expected use of census and baptismal records. I came away from the book with an increased awareness of and respect for Ory — not only as independent and ambitious, but someone with a keen eye for making his musical activities pay off. I was struck by Ory the entrepreneur (circa 1912-13) who not only booked his own dances — arranging for his band to play in a hall he had rented — but because he was worried about competition, paying to rent a hall two blocks away and keep it dark that night. The most animated parts of the book, of course, are the first-hand recollections of the musicians: a leisurely word-picture of the worst place Ory ever played, Spano’s, that catered to prostitutes and “freakish” men and women; his depiction of life in a Storyville brothel, where a customer who hung his trousers over a chair would find himself wishing he had been more cautious. 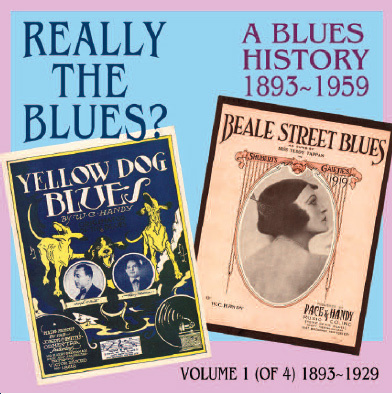 McCusker’s research delves into the musical communication between more formal ragtime-dance music and hotter jazz, between Ory and his colleagues and the Original Dixieland Jazz Band. Ory and Joe Oliver were advertising their band as playing “Jazz” as early as November 1917; in 1922, “Ory’s Sunshine Orchestra” was broadcasting on the radio in California. McCusker is by profession a photographer and journalist, someone obviously wanting to add to the record and to make it accurate, so that Ory would not be overshadowed, forgotten, or ignored — very good reasons to research and write a book. McCusker clearly admires Ory but the book is not worshipful. His writing is lively and the book moves quickly; although he relies greatly on sources, it does not resemble an academic thesis. Because McCusker sees Ory as a seriously influential figure, I was not surprised to find a great deal of study devoted to the years before Ory made his first recordings in 1922. Ory’s musical career continued until 1933 or so, then — after a decade of non-musical work) it resumed for nearly two decades. 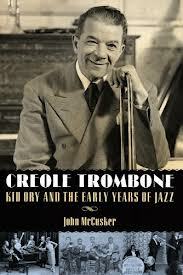 But CREOLE TROMBONE covers the years from 1943 to Ory’s death in a few quick pages. Had Ory retreated into an old man’s obscurity, I could understand this, but in that period Ory made more than two-thirds of his recordings, many for major labels (Columbia, Decca, Victor, and the Norman Granz conglomerate) toured Europe several times — and was more popular than ever before. Since I first encountered Ory’s music in this period — as a member of a 1946 Armstrong group and on two Verve recordings that paired him effectively with Henry “Red” Allen, I find the omission curious, and the book feels to me hurried or deflating. This could have been an economic decision (a press choosing a manuscript of X words only and its author deciding to concentrate on the less explored early period), but the last pages of this otherwise rewarding book feel truncated. Another view of the authorship of MUSKRAT RAMBLE from Louis himself — twice (thanks to Ricky Riccardi) — here. Who knew that fried muskrat had such powers? More wonderful music from the 2011 San Diego Thanksgiving Dixieland Festival, proving that gratitude is a year-round phenomenon. Here are eight gratifying performances by the Grand Dominion Jazz Band, recorded on November 24-25, 2011, and made available for JAZZ LIVES through the generosity of Rae Ann Berry, whose handiwork can be seen in two places (if you don’t encounter her at a concert, gig, or jazz party): her up-to-date list of hot jazz gigs in the area on www.sfraeann.com and her YouTube channel here. Grand Dominion is led by pianist Bob Pelland, and features our friend Clint Baker — the wonderfully fulfilling multi-instrumentalist — here on trumpet, with Jeff Hamilton on drums giving the band just the right kind of relaxed drive from his kit. The other worthies are Mike Fay, string bass; Jim Armstrong, trombone and vocals; Gerry Green, reeds; Bill Dixon, banjo. Some time ago on JAZZ LIVES, I had some fun posting two Desert Island Disc lists of my own — one of the Great Dead, one of the Happily Living. 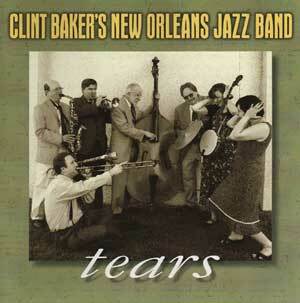 Now, it’s time to revise those lists — because TEARS, by Clint Baker’s New Orleans Jazz Band, is an absolute delight. It’s not a respectful museum-piece, but a lively, surprising evocation of many jazz eras — one of those CDs you will listen to all the way through and then want to play again. Clint Baker is one of those blessed players who can swing the band no matter what instrument he picks up. On Rae Ann Berry’s YouTube videos (and some of mine), the exciting evidence is there: Clint on trumpet, cornet, trombone, clarinet, guitar, banjo, drums, vocal — all superbly. On this CD, he plays trombone — moving around stylistically from the hot roughness of the late Twenties to the smoothness of mid-Thirties Benny Morton, all with conviction and wit. In the front line, he has Marc Caparone (punching out that fine lead in the best Mutt Carey manner or looping around in the sky a la Buck Clayton) and Mike Baird (think Johnny Dodds or Prince Robinson). But the best front line imaginable sinks without a cohesive, friendly rhythm section — like the one on this CD: Dawn Lambeth on piano (more about Dawn in a minute), Katie Cavera on swinging guitar and banjo (ditto); Mike Fay (did someone say “Wellman Braud”?) and the wonderful Hal Smith, propulsive but always deeply sensitive to the band as a whole. Katie delivers one of her delicious sweet-tart, almost-innocent vocals on SWEET MAN, which is a treat. And Clint convinces us of the earnest message of WHEN I GROW TOO OLD TO DREAM. But this CD also has a vocal masterpiece: Dawn Lambeth’s pure, yearning I CAN DREAM, CAN’T I? And Dawn illuminates four more selections — jazz singing at its best. Clint favors what he calls “musical whiplash,” which has a rather ominous ring to it — but it’s not what happens when you’re driving, engrossed in a new CD. No, what he means is a wide-ranging repertoire, a band comfortable with playing music from the ODJB, King Oliver, operetta and opera (Saint-Saens! ), Twenties pop and novelty tunes . . . all with precision and abandon, intensity and relaxation. 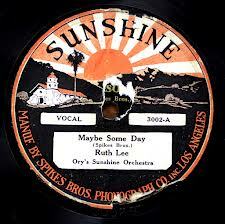 The CD runs 73;34, and the songs are OSTRICH WALK / I CAN DREAM, CAN’T I? / TEARS / SWEET MAN / ONE HOUR / YOU MADE ME LOVE YOU (the Hot Five song, not Jolson’s) / LOVING YOU THE WAY I DO / MY HEART AT THY SWEET VOICE / WHAT A DIFFERENCE A DAY MADE / ORIENTAL STRUT / BLUES IN THIRDS / IT’S A SIN TO TELL A LIE / WHEN I GROW TOO OLD TO DREAM.